You have a lot of choices when it comes to title companies, but when you choose Thurston County Title Company you won’t be disappointed. Thurston County Title is unique in the way they do business; they are local, with a large, experienced staff and they have their own in-house title plant. 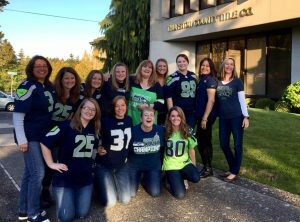 Employees at Thurston County Title prides themselves on their fast and friendly service, and they love to give back to our community. 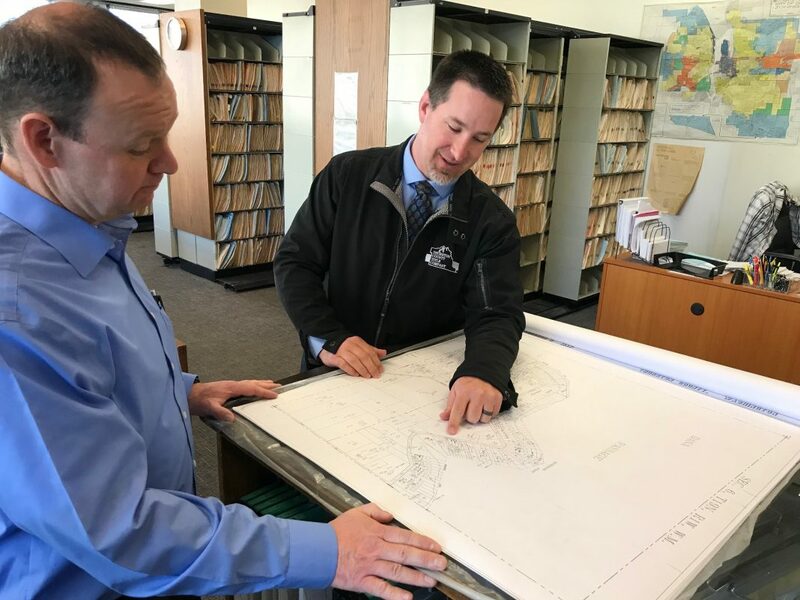 “We are the only brick and mortar, locally owned and operated title company in Thurston County,” says Vice President and Manager, Sean McDonald. The Schreiner family purchased the business in 1972, and have expanded to 13 additional affiliated offices in Washington and Oregon. “We all live, work and play here,” shares Chris Lester, business development manager. 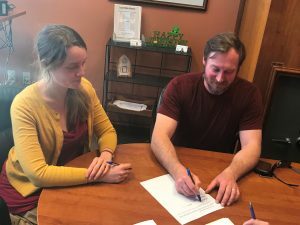 “Our company participates in lots of different non-profits, Thurston County Chamber, Lacey Chamber, Thurston County Realtors Association, MLSA and Lacey Rotary.” Chris is on the Board of Homes First, a local non-profit organization that helps to provide affordable rental housing. “An escrow gal started up her own non-profit, Warrior B.E.A.R.S. to help abused kids. Others participate heavily in the Relay for Life fundraiser,” adds Chris. There are two facets to Thurston County Title – the title department and escrow department. While each assists in the sale of real estate transactions, they both have very different roles in a real estate transaction. The title department is more “behind the scenes.” Title researches the property ownership performing searches to reveal any property liens as well as other encumbrances and restrictions, which will eventually lead to the issuance of a title insurance policy at the closing. Their knowledgeable employees are the key to Thurston County Title’s exceptional customer service. When a phone call comes in, a real person will answer the phone — usually on the first ring! Their escrow teams have a number of assistants, so whether a lender, realtor, attorney or a person buying or selling a house calls in, they get the information they need without waiting for a return phone call. “Our escrow officers do the signings. We have someone who actually has knowledge of the file do the signings, so if there are questions, they are able to do their best to answer them,” says Sean. All of the escrow officers have to pass an exam to become licensed as a Limited Practice Officer (LPO). The test is administered through the Washington State Bar Association. Customers who buy, sell, refinance homes and land work with the escrow department. Escrow officers facilitate the transaction by holding earnest money deposits and paying off mortgages if you are selling a house or refinancing. “Their job is to clear the property of any hidden hazards or liens from previous owners on a sale transaction,” explains Sean. To learn more about their services, visit the Thurston County Title website.